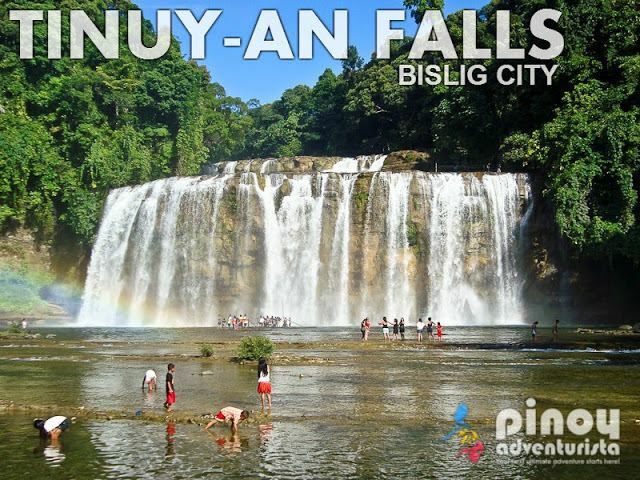 Bislig, officially called the City of Bislig and often referred to as Bislig City, is a third income class city in the province of Surigao del Sur, Mindanao, Philippines. According to the 2015 census, it has a population of 94,535 people, making it the most populous in the province of Surigao del Sur. Barangay Mangagoy is the center of trade and industry of the city which has a population of 50,000 and is the largest barangay in both land area and population. Espiritu St. and the adjacent areas within is colloquially often referred simply to as 'Barrio' by the locals in which the business district in Mangagoy is located. It houses national and local banks. Telecommunication such as Internet, cellular phones, cable televisions and leased data lines are well-available in the vicinity of Mangagoy. There used to be movie houses as well. There are also accommodating inns and hotels, as well as motorized tricycles, jeepneys, and buses ply its concrete roads and highways. The concrete runway of the commercial airport can accommodate light commercial planes of the Fokker 50 class, though most of the time the airport is only used for the occasional private plane. 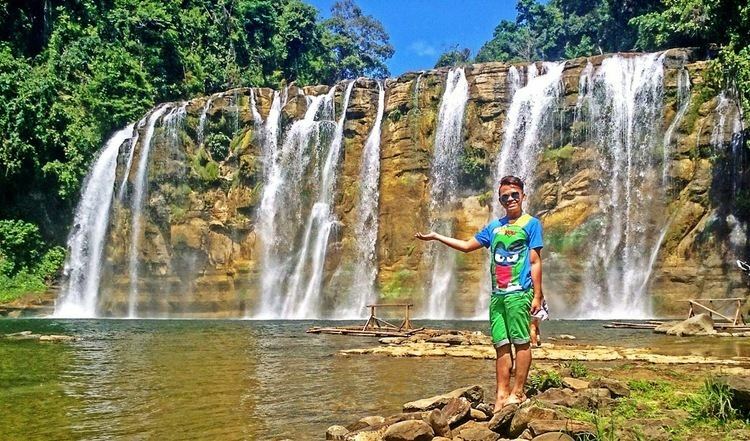 Known for its ecotourism, Bislig's main tourist attraction is the Tinuy-an Falls, known as the little "Niagara Falls" of the Philippines. 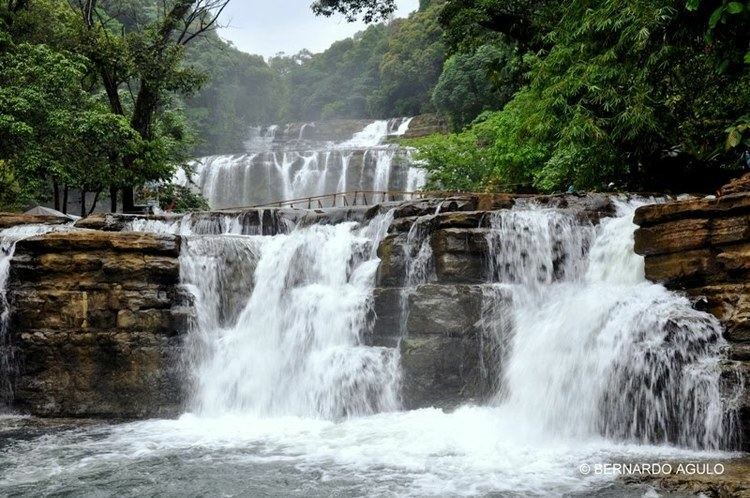 It is a white water curtain that flows in three levels about 55 meters high and 95 meters wide. Its critically acclaimed majestic and unique natural formation was once appeared in the International Travel Magazine. It is also known as the widest waterfalls in the Philippines. Other known tourist attractions include: the white-sand beaches of Hagonoy Island; the Lawigan Beach which faces and considered a part of the Pacific Ocean; the underground river of the educational Delot and Hinayagan Cave; the Togonan Cold Spring which is a 30-minute ride a far from the city proper; the wild sanctuary of the Forester's Park; the wide range waters of the Mone River or the man-made Lake 77 which offers a boat ride tour and a floating cottage ideal for picnic and fishing; the Kamayo Heritage Park; the Cawa-Cawa Sa Awog; the Sian Falls; the Garay Florland Highland Resort at Brgy. San Vicente; the Ma. Regina Inland Family Resort at Dao-Dao, Brgy. San Fernando; the Chocolate Beach ideal for the avid mud skim boarding enthusiasts; the newly developed Mabakat beach (the former Dampingan area) ideal for surfing aficionados; the International Doll House at the Ocean View Park in Barangay Cumawas; and the City Baywalk Park. 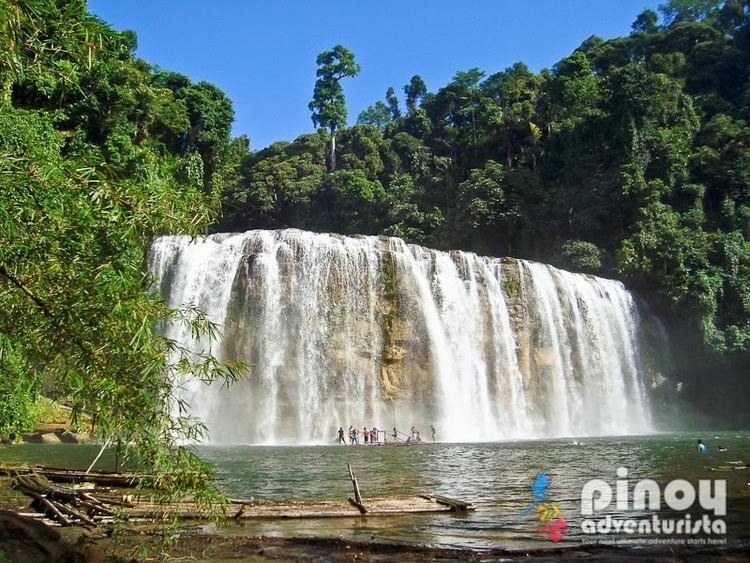 Trekking and bird watching could also be available in Bislig's densely natural forested areas. From Manila or Cebu to Butuan City as transit point, Philippine Airlines, PAL Express and Cebgo ply these routes three times a week (Manila-Butuan – approx. 1hour and 30 minutes travel time; Cebu-Butuan – approx. 45 minutes travel time). In early 2012, Jetstream of Mid-Sea Express (later Fil-Asian Airways) announced the routes Cebu-Bislig v.v. and Davao-Bislig v.v. operational at the Bislig Commercial Airport occasionally and seasonally only. Inter-island vessels like the Cokaliong and 2GO ply the Manila-Butuan, Cebu-Butuan and Bohol-Butuan routes on regular schedules with Nasipit Port as transit point. Air-con vans are available at the wharf and in the Nasipit terminal. Bachelor Express buses are available in the Nasipit terminal as well for a specific schedule. One may also take a jeepney ride to the Butuan City integrated terminal for the regular bus trips to Bislig.